Home » Utilities » Driver & Software Updater » [Giveaway] Driver Magician – Free Registration Code – for PC. Get full version now! [Giveaway] Driver Magician – Free Registration Code – for PC. Get full version now! 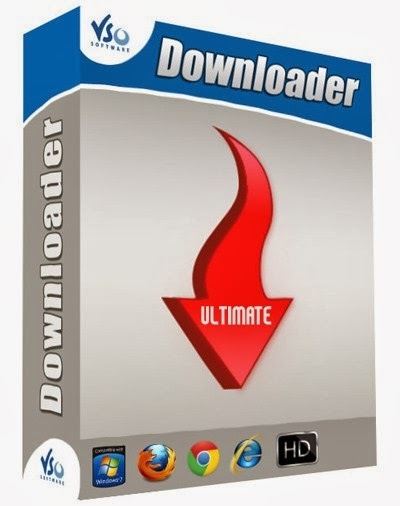 Driver & Software UpdaterGoldSolution Software, Inc.
A professional solution for device drivers backup, restoration, update and removal in Windows operating system. Get Driver Magician v5.0 with a Registration code for free now without a crack on the software shop giveaway of the day. Driver Magician is an easy-to-use and powerful tool for device drivers backup, restoration, and update in Windows operating system. this driver updater software identifies all the hardware in the system, extracts their associated drivers from the hard disk and backs them up to a location of your choice. Then when you format and reinstall/upgrade your operating system, you can restore all the “saved” drivers just as if you had the original driver diskettes in your hands. After one system reboot, your PC will be loaded and running with the required hardware drivers. What’s more, Driver Magician has a built in database of the latest drivers with the ability to go to the Internet to receive the updates. It saves lots of time to find the correct drivers and mature drivers will obviously increase the performance of hardware. If there are unknown devices in your PC, Driver Magician helps you to detect them easily and quickly with its built in hardware identifier database. Moreover, Driver Magician can back up and restore more items such as My Documents and Desktop. We all know that every Windows operating system distribution incorporates many device drivers. So the difference between “Search All Drivers” and “Search Non-Microsoft drivers” is that the former searches all device drivers, including those packaged within Windows, while the latter only searches drivers not contained in Windows. Because device drivers which are contained in Windows operating system are automatically installed when detected, it is NOT necessary to back them up. Microsoft provided drivers are shown in black, whilst Non-Microsoft provided drivers are shown in red. 30 MB of available disk space for installation. Please feel free to download Driver Magician for Windows PC here. Driver Magician by GoldSolution Software, Inc. has been tested professionally and we are assured that no viruses, Trojans, adware or malware contained. Superb – both in operation/design and conception. Wondered however with it’s compact footprint whether it is possible to run the app from a floppy for added convenience, but not sure whether this would affect current versions (or future) ability to perform at low levels. Also, would ideally prefer to have backed up drivers saved into one file which the app recognizes, although all backups can be stored in a folder so no big problem. Easy to use and an excellent program. With your demo version alone, I found drivers and just tried to reinstall since doing so my computer is back to normal. With everything now working OK, I will now set up the auto install. Thank you for an excellent program and good luck with sales. I would just like to say thanks for producing such a nifty little program. I have tried a bunch of others, and never found one that makes the task as easy as yours does. No problems, no manual (attempts) installations. Just point and click, and the new drivers are installed (correctly, I might add) just that easy. Thanks again for such a good product! Driver Magician V5.0is available as a software giveaway. Hi, I’ m Steve, and I’m asking my self why some people like to say some software is free but in reality not. I fund that very annoying. Some software is free, usually, it has limited features, no support, only for personal use. Some software is paid, usually, it has premium features (there are not in free version), premium supports, uses for personal or it may use for a commercial. Some paid software are set to be free (giveaway program), it usually for your trial with an extended trial, try the premium features for a long time, etc, but with the limited terms such as no free upgrade/updates, no free supports, use for personal only, according to the software provider’s policy. Before you buy a software, you have to try it.. and make sure if the software you bought does what you need. so, please read every detail of the product information, such as the descriptions, features, requirements, customer testimonials/reviews, and you can try the paid software (if provided). and before you decide to buy the software you need, see every purchase term such as the license terms & how many software you need. And what do we provide here? yes, We provide all I’ve said above.